Amners Farm offers excellent facilities for DIY livery. With three floodlit arenas, show jumps, cross country facilities and access to on and off road hacking, there is something for every horse owner, what ever their equine passion. Depending on availability, there are shared or individual paddocks. A range of stabling is also available, most being in small blocks of approximately 8-10 stables, with storage and lockable tack rooms. Hay, haylage, straw and bedding are all available on site and assisted turnout can also be provided upon application. 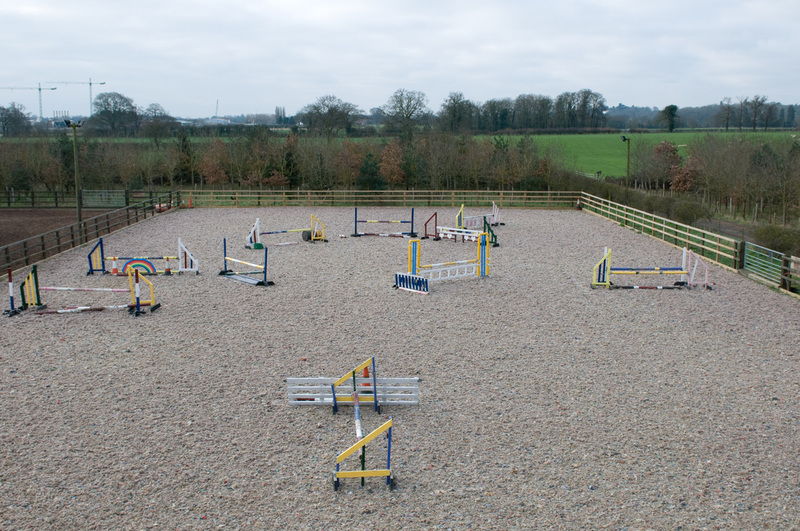 Use of all the floodlit arenas, one is usually set for jumping, one for flatwork and a smaller school for lunging.